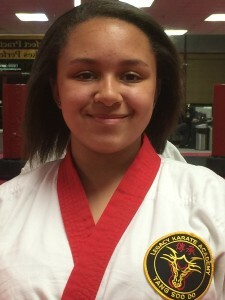 Kalyn Versland currently holds the rank of third degree black belt at Legacy Karate Academy. All of Kayln’s formal training has come from her father, Master Eric Versland. Ms. Versland considers herself extremely lucky to be able to train along side her father and be able to learn from his skills as her instructor. She has been training in the art of Tang Soo Do for 12 years and has assisted in teaching at Legacy as well during that time. Kalyn is an extremely successful competitor, competing both locally and nationally. She has become one of Legacy Karate’s most decorative competitors. Ms. Versland has won 18 national first place titles, 3 second place, and 1 third. In addition, she has also won over 100 local titles. 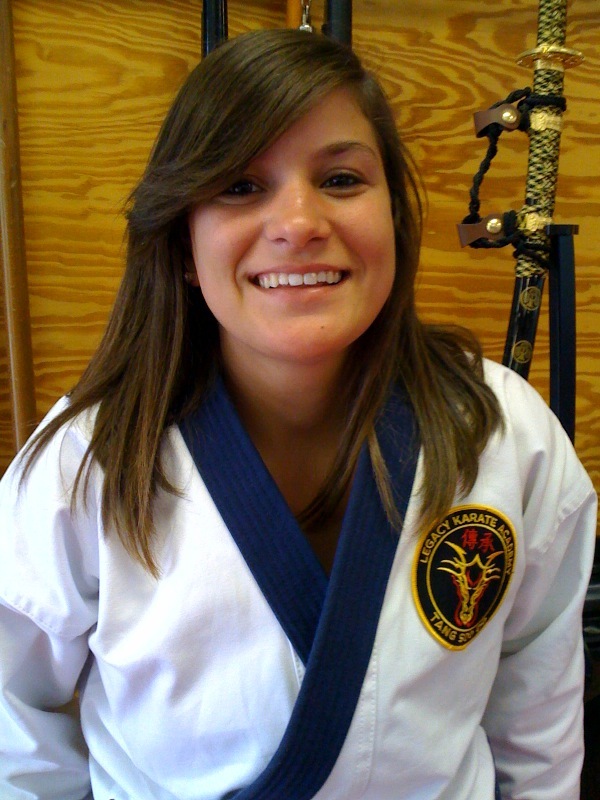 During her advancement at Gup and Dan testings Ms. Versland won the top performer award at every belt level. Her technical skills are evident in her practice of forms, weapons and sparring. In 2006 she won the esteemed award of outstanding student of the year for her accomplishments and positive qualities. Ms. Versland is a great role model for other students at Legacy karate. She now is an honor student attending Kutztown University studying Political Science. She demonstrates and carries herself in school and everywhere else with the discipline and respect she has learned over her years of training with Legacy Karate. 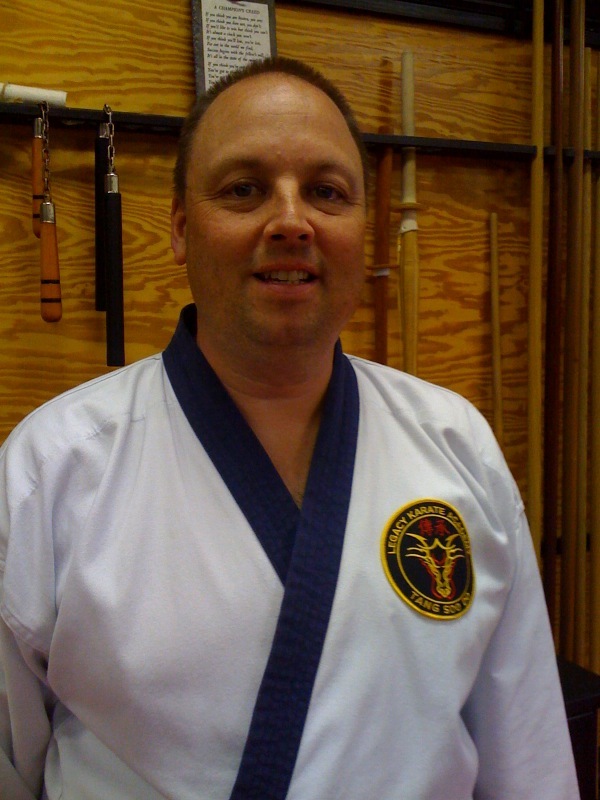 Mike Bates currently holds the rank of 3rd Dan black belt. His interest in Karate started in Michigan during the early 1980’s as a member of the Japan Karate Association studying the art of Shotokan. Mike and his family started training with Master Versland in the early part of 2000, after having moved to the Royersford area in May 1999. 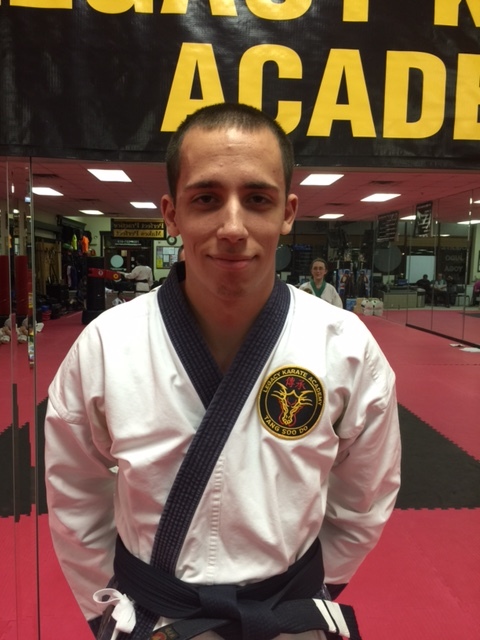 Mike enjoys competing both on the regional and national level, having earned numerous awards in forms and sparring. In 2008, Mike and his sons placed in Team Forms at the National Tournament in Detroit. Also in 2008, he was awarded Legacy’s Student of the Year. Mike enjoys giving back to the Legacy Karate Academy through teaching and mentoring all levels of students – beginning through advanced. Mike is currently self-employed as an organizational operations consultant, and earned his Masters Degree in Organizational Leadership from Philadelphia Biblical University in May 2010. In addition to his personal training, Mike enjoys most of all training alongside his entire family. His other interests include scuba diving, golf, and teaching elementary through High School students at his church. 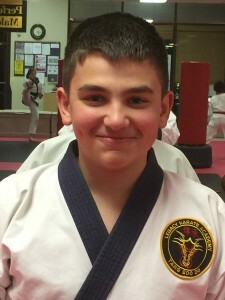 Jonathan Amanto currently holds the rank of 3rd Degree Black Belt at Legacy Karate Academy. He has been Master Versland’s student for over 15 years, and has been helping him teach for 4 years. Jonathan accompanies Master Versland to his various after school programs, in addition to helping him at the gym. Karate has been a big part of Jonathan’s life ever since he started, and helped turn him into the person he is today. Karate has taught him various lessons such as focus, respect, and discipline. Karate also improved Jonathan’s academic performance throughout his grade school years, and he is now a sophomore at West Chester University. The culmination of years of hard work and dedication led to Jonathan being named the 2013 Legacy Outstanding Student of the Year award. 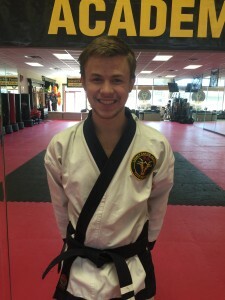 He hopes to continue training and teaching with Master Versland for many years, and one day hopes to test for his Master Belt. Riley Custer currently holds the rank of 1st degree black belt at Legacy Karate Academy. She is planning on testing for her second degree black belt in June 2015. Riley has been Master Versland’s student for 10 years and has been teaching for 2 years. Karate has helped her with various skills such as discipline, respect and focus. Karate has also helped with her academic achievement over the years. She is a member of her schools Junior National Honor Society and is taking multiple honors classes. Through teaching, she feels like she is bettering her own abilities as a student and hopes to pass on all the traits she’s learned to the gym’s younger members. Riley plans on continuing her training and teaching with Master Versland for as long as possible. Hannah Griffin currently holds a 1st Gup Red Belt at Legacy Karate Academy. 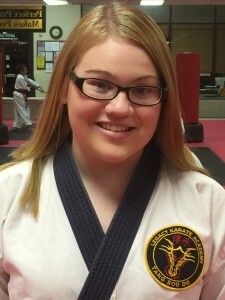 She is planning on testing for her 1st Don Black Belt in June of 2015. Also, she has been Master Versland’s student for over 3 ½ years and has been teaching for over 2 years. Karate had helped Hannah develop many skills such as discipline, respect, focus and patience. Karate has also improved her academic performance. For example, she graduated first in her eighth grade class and is taking all Waited Honors classes as a freshman at Norristown Area High School. 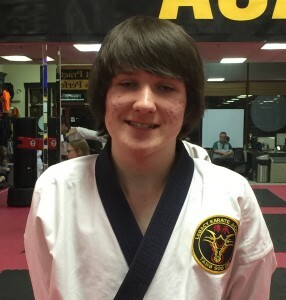 With hard work and dedication, Hannah has received various medals and trophies at karate tournaments and she had earned top performer awards at belt testings. Hannah plans on continuing her training with Master Versland for as long as she can and hopes to one day earn her master belt. Ethan Nafus earned his 2nd Degree Black Belt at Legacy Karate Academy in December 2015 at the age of 13. He also earned a Green Belt from the Judo Club Kano in March 2015, which is also taught at the Legacy Karate Academy. He began at Legacy as part of the summer camp program at a local daycare when he was 4 years old. He started his formal training under Master Versland at the age of 5, and has been helping him teach since the summer of 2014. The years of hard work and dedication led to Ethan being named the 2014 Legacy Outstanding Student of the Year. Karate has been an important part of Ethan’s life ever since he started, shaping him into the adult he is becoming. Ethan is an honor student in the Spring-Ford School district and enjoys playing guitar and performing in the band program at a local music school, where they write and perform their own songs in a student’s showcase concert.